WICHITA, Kan. — An innocent Kansas man is now dead and his two children are fatherless after a dispute over a game of “Call of Duty” resulted in a SWAT team showing up at a false address called in by a convicted prankster. 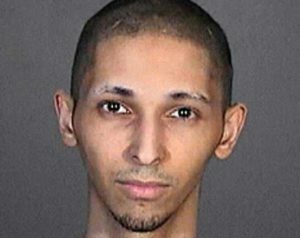 According to reports, a video gamer that had been in an argument in playing a “Call of Duty” game with a $1.50 wager contacted notorious “swatter” Tyler Raj Barriss, 25, and asked him to get back at someone. Swatting is defined as making a false report to the police that results in a response from a Special Weapons and Tactics (SWAT) team. However, the other player who was to have been “swatted” lied by providing an address that was not his own, and Barriss used the address provided as he told the 911 operator that he had shot his father in the head following an argument with his mother, and that he was now holding his siblings and mother hostage. He also claimed that he had poured gasoline throughout the home, and was thinking of lighting it. A large police presence then showed up at the Wichita location, and Andrew Finch, 28, soon came to the door to see what was happening. He reportedly had no knowledge of the gaming dispute and was not involved. Finch was shot moments later as he lowered his arms several times after being directed to keep his hands up, and police had thought, based on the phone call, that he was armed and dangerous. He said that Finch was shot as it was thought he was reaching toward his waistband for a weapon. However, his family members state that there are no guns in the home. Finch’s mother, Lisa, told local television station KWCH that she is upset that her son was not given a clear warning that he would be shot. Finch later died at the hospital. He was a father of two. Police also found that no one had been killed at the residence as was claimed during the call. Barriss was taken into custody on Friday by the Los Angeles Police Department on a fugitive warrant. The officer who shot Finch is now on under investigation and is on paid leave. According to BNO News, a man claiming to be behind the call told Daniel Keem of DramaAlert that he didn’t believe he should be held responsible for the death. Barriss is stated to have called the police with false reports before, including a bomb threat at the FCC, and claims that sometimes people pay him to do so.